We stole five minutes with Angelica Cheung, Editor in Chief of now decade-old Vogue China, who spoke onstage at Seoul and moderated a panel discussion about models in Instagram. Follow Angelica on Instagram at @angelica_cheung. What's the future of luxury in Asia, in Seoul but also in China? I think Seoul has become such an influential city for fashion within Asia because Korean popular culture, especially K-pop and Korean TV dramas, is really setting the trend for a lot of the markets in the region – including China. Overall the pace of growth of the luxury market has slowed down in China but I think that was to be expected, because with increased exposure to luxury brands, Chinese consumers are becoming increasingly savvy with what they are buying, and are becoming much more sophisticated consumers of luxury. How has the style and fashion scene evolved in Beijing over the last 10 years? Chinese consumers’ approach to fashion has matured at an incredibly rapid rate. Obviously there are people who love the big brands and logos – there are still so many Chinese people yet to be introduced to fashion – but within the first and second tier cities, an incredibly sophisticated consumer base is emerging. They travel extensively, they go to the shows in Paris, they buy couture. 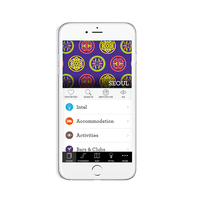 However, no matter how international they are, fundamental cultural differences will distinguish the buying habits of the Chinese consumer, and this is something that brands need to tap into if they are to compete at the top level within this market. The top tier of Chinese consumer have been exposed to so much, now products really need to be tailored to their tastes and preference in order to grab their attention. What are some of your favourite style trends in Asia? I like the recent trend for sportswear and streetwear infused looks that has really taken off here, the mix of bomber jackets, cool denim and vintage athletic inspirations. I think it’s proved to be quite inspirational because it’s an aesthetic that really resonates with the younger Chinese generation – for many kids Nike and Adidas were the first brands they aspired to own and to see that athletic/streetwear style fused with high fashion is really great. Could you tell us some of your 'ones to watch' designers in China? I think Fengchen Wang is really making her mark on the menswear market. As a young designer Xu Zhi is also producing very sophisticated fabrics – he’s definitely one to keep an eye on. 24 hours in Beijing – what are the must-does? I think you either have to make a decision between a trip to the Great Wall (which takes up most of the day) or the inner city sites like the Forbidden Palace and Jingshan Park, followed by lunch at the nearby Temple Restaurant (TRB) – the compound itself houses a 1,000 year old temple. In the afternoon I would then go into the hutongs and up the Drum Tower to see a drum performance – they happen throughout the day and are free, otherwise the Temple of Heaven is a great alternative. Whether you choose to go to the Great Wall or the city sights – you’ll have time to end the day with a dinner of Peking Duck. Country Kitchen at the Rosewood Hotel or Duck de Chine are perennial favourites. When you're on the road, what's always in your carry-on? I always pack a spare outfit, just in case! 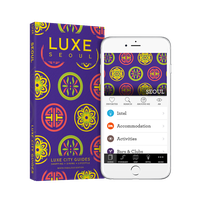 LUXE has partnered with MCM to produce an exclusive set of custom insider guides and a personalised Seoul app for those attending the conference.